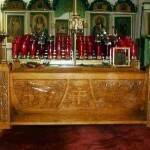 St. Herman is the first Orthodox saint glorified (canonized) in North America. Some sources say he was born in Serpukhov, Russia in the 1750s. More modern research indicates that he was born in the Voronezh region. His pre-monastic name, both first name and last name are not known for certain. He entered the Sarov monastery but later moved to Valaam monastery where his monastic tonsure (becoming a full-fledged monk) took place. It was there that he was initiated into the practice of the Jesus Prayer. 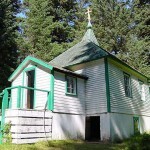 When he wanted to be a hermit, Abbot Nazarius granted him a hermitage a short way from the monastery. He was offered the rank of priest, but in his humility he refused. In the period of 1741-1748 Russian explorers and merchants began a fur business in Russian America (Alaska). This became the Russian American Company. The head of the company asked for a priest to be sent to Alaska (specifically Kodiak Island) to teach the Alaskan natives about Orthodox Christianity. The Empress Catherine the Great decided to send a multiple-member mission to Kodiak. 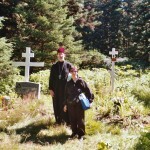 St. Herman was among the ten monks from Valaam sent there. They arrived in 1794. The situation they found was quite harsh. The natives were mistreated by their Russian superiors and the supplies given to the monks for agriculture were inadequate. However, the monks survived their harsh conditions and became defenders of the natives. Many thousands of natives were baptized. In 1807 St. Herman became head of the mission, even though he was not a priest. 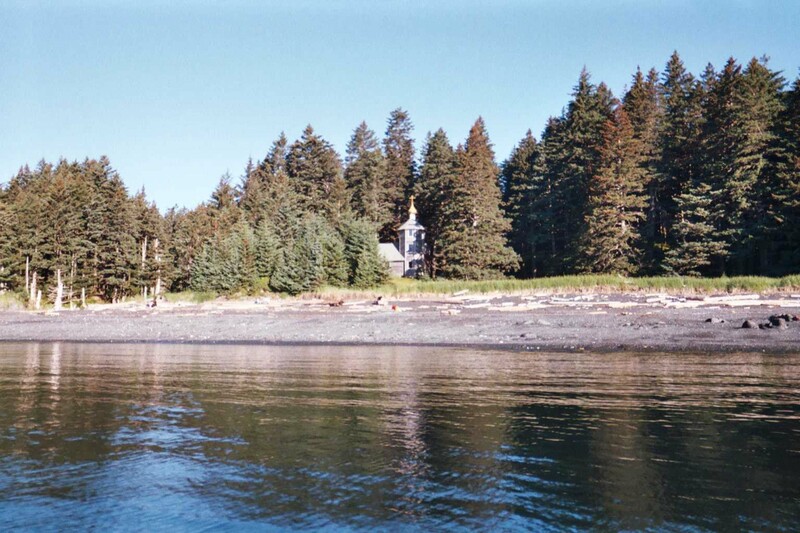 Wanting to be a hermit again, he moved from Kodiak Island to Spruce Island, a sparsely populated island one mile from Kodiak. He tried to live as a hermit, but native Alaskans found their way to him. He died on Spruce Island in 1836 and legend says that when he died a pillar of light soared into the sky and everyone on Kodiak Island knew he had fallen asleep. He was a beloved figure, called “Apa” (grandfather) by the natives. 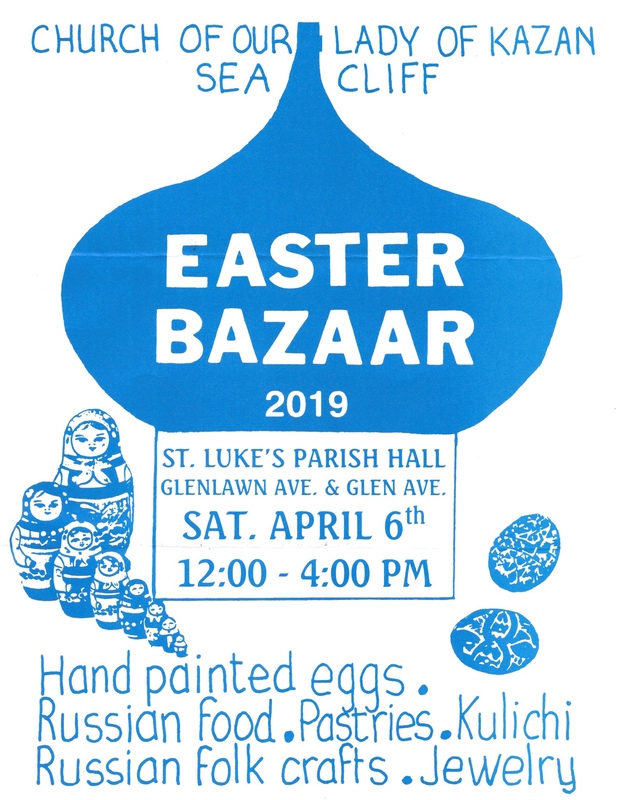 He is known to have worked miracles and eventually was glorified in 1970 by the Orthodox Church in America (OCA) and the Russian Church Outside of Russia (ROCOR). 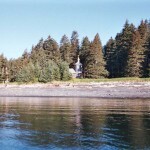 At that time his relics were moved from Spruce Island to the cathedral in Kodiak. 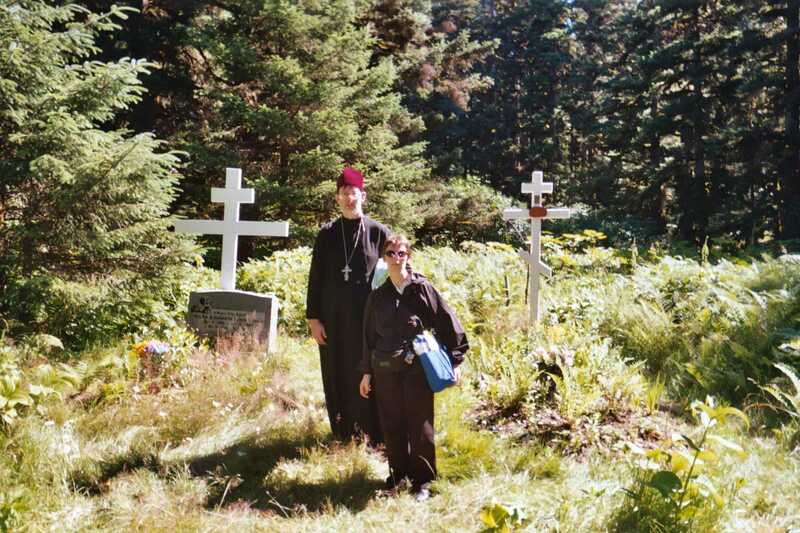 St. Herman is still loved by the native Alaskans (and many others) and on the anniversary of his canonization in August pilgrims come from all over America and even the world to venerate his relics in Holy Resurrection Cathedral in Kodiak and the places he labored and lived on Spruce Island. 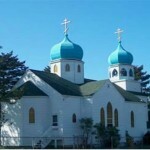 Recently, an article was published telling of an act of vandalism that took place in the cathedral in Kodiak. 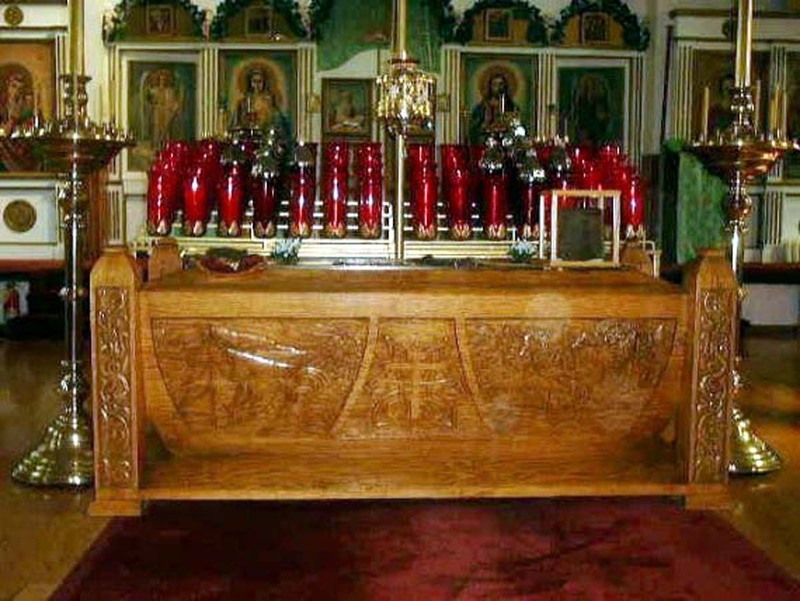 There was extensive damage to the building, many windows were broken, the holy vessels were tossed on the ground and the relics were broken into. St. Herman’s skufia was tossed across the room but St. Herman, himself, was left alone. Attached is the article from the OCA website about this. 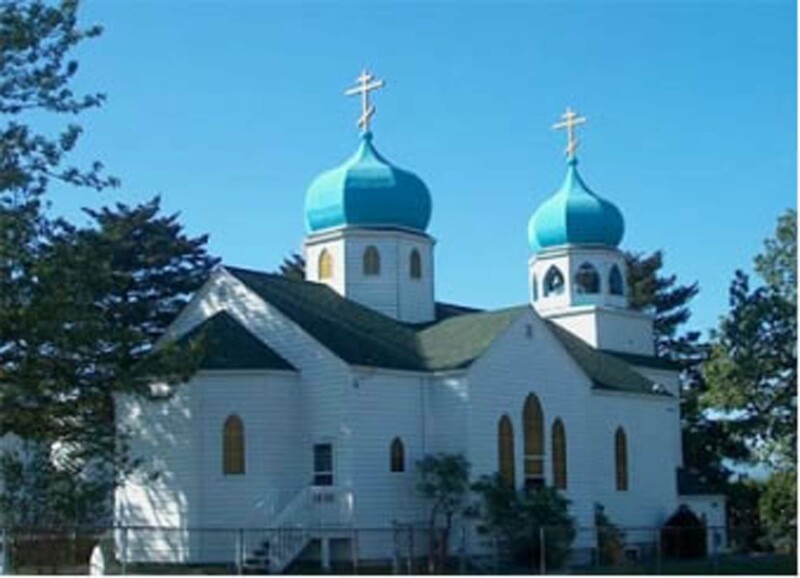 Joyful North Star of the Church of Christ, Guiding all people to the Heavenly Kingdom; Teacher and apostle of the True Faith; Intercessor and defender of the oppressed; Adornment of the Orthodox adornment of the Orthodox Church in America: Blessed Father Herman of Alaska, Pray to our Lord Jesus Christ for the salvation of our souls! 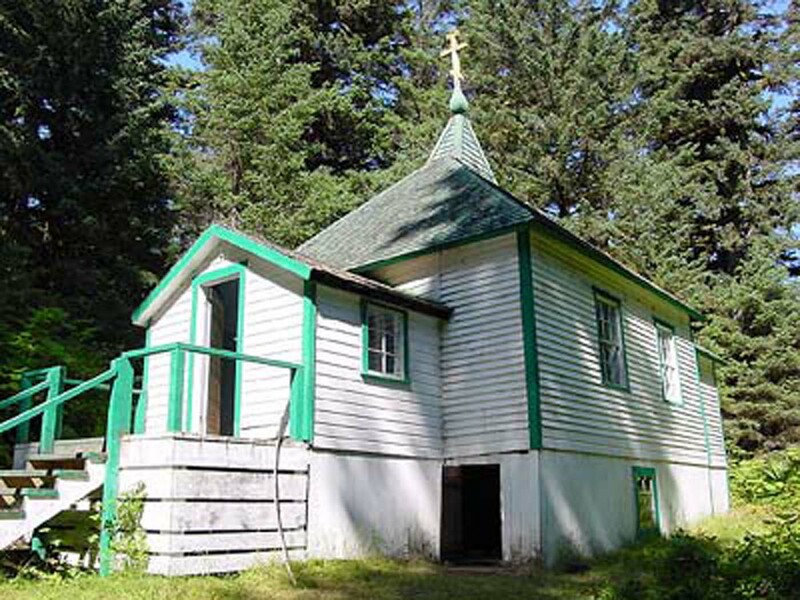 O blessed Father Herman of Alaska, North star of Christ’s holy Church, the light of your holy life and great deeds guides those who follow the Orthodox way. Together we lift high the Holy Cross you planted firmly in America. Let all behold and glorify Jesus Christ, singing his holy Resurrection. The eternal light of Christ our Savior guided you, blessed Father Herman, on your evangelical your evangelical journey to America to proclaim the Gospel of peace. Now you stand before the throne of glory; intercede for your land and its people: Peace for the world and salvation for our souls! This entry was posted in Church Services, Sermons on August 9, 2015 by gldstrm.